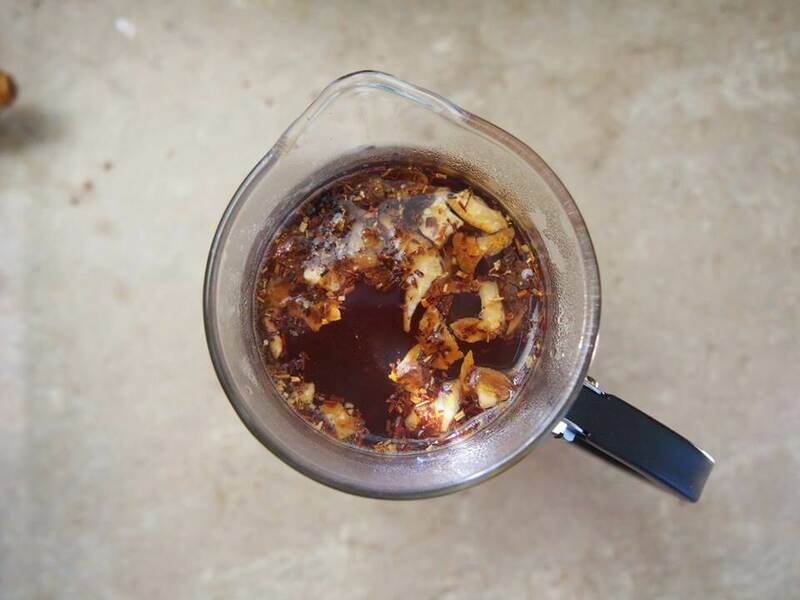 Wondering how to brew loose leaf tea? 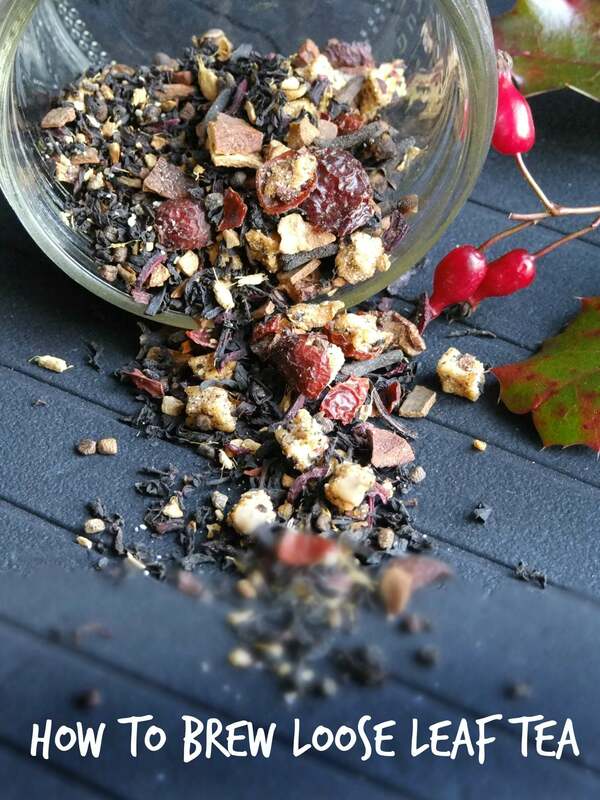 Making and steeping loose leaf tea is one of the most common questions we get. And here’s the thing: there are lots of ways to do it, each with its own time and place. Here are, in my opinion, the three best ways to make and steep a great cup of tea. Perhaps the easiest way to brew and enjoy your loose leaf tea is in a tea bag! You can simply purchase tea bags that are open, explicitly used for loose leaf tea brewing. While it seems illogical to buy loose tea and then put it into a bag, it’s always a good idea to have some tea bags around. Bags are handy if you are entertaining and want to offer each guest their own tea selection, if all your pots and cups are dirty, or if you’re traveling. You can pick up loose leaf tea bags from Plum Deluxe right here. I suggest our teabags because they are unbleached; many commercial tea bags have trace bleach chemicals in them. That’s not a flavor anybody wants in their teacup. Infusers come in many shapes and sizes; basically, they’re just a contraption that allows water to leech through and brew the tea without letting the loose tea into the cup. Regardless of the type of tea you’re brewing, I usually suggest a mesh strainer, as almost all loose leaf teas have a few smaller particles. Mesh also allows the tea to come into maximum contact with the water. You also want to have a decent sized infuser, as you don’t want the tea to be tightly packed inside the infuser; you won’t get all the full flavors from the tea if that happens. Otherwise, I don’t have much of a preference. Something simple like this works well, but if you find an infuser that makes you smile when you use it, even better. 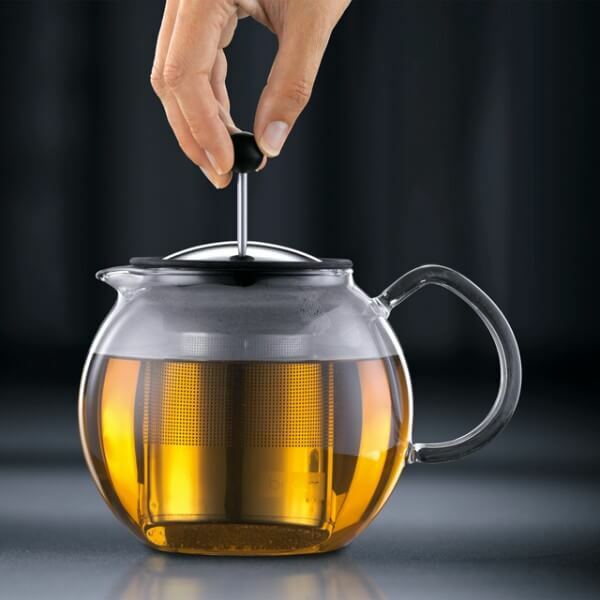 The infuser concept is pretty straightforward, but you can also purchase teapots and mugs that have infusers built in (and are, of course, removable for cleaning). This is the best choice for entertaining or for those of you that like to linger over your cuppas. For teapots, I strongly suggest getting a glass teapot so you can see the color of your tea and watch it brew. 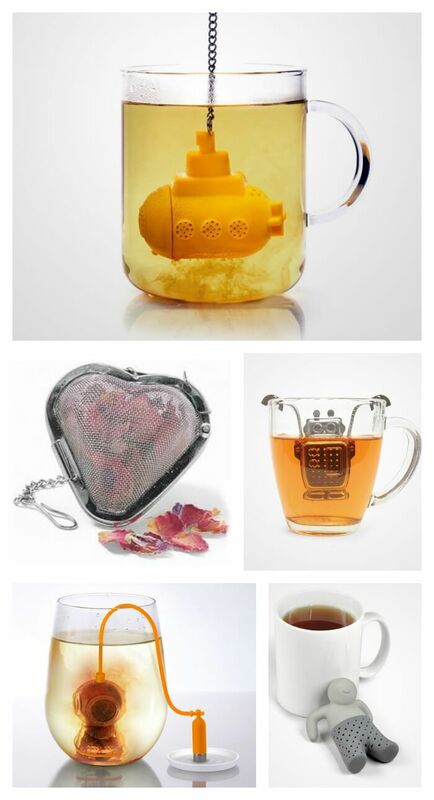 The brand I like the best is Bodum; Amazon has the best selection to choose from. Out of all these options, want to know my favorite way to make loose leaf tea? With a French press. Easy cleanup, full flavor, easy to do just one or two mugs and to do a second steeping of your tea. This is my favorite French press for brewing tea. Don’t forget the kettle. Don’t boil water in a pot on the stove (too much hassle), and please don’t use the microwave (it does something to the flavor, I believe)! I like this one — I don’t think it’s necessary to pay a lot more for kettles that brew to a specific temperature. Warm your mug. With the leftover hot water in your kettle, pour some in your mug to warm it up before you put your tea water in. This will ensure your tea stays nice and warm. Go organic. We might be biased since we sell organic tea, but organic will ensure you have the freshest flavor — without any leeching pesticides. Keep it warm. No matter the teapot, I always love having my teapot warmer to keep tea piping hot — especially for those days when your conversation with guests lingers on for a deliciously long time. Be mindful of brewing time & temps. Your tea should have a brewing time and temperature. Be careful not to over-steep your tea (green tea, in particular, is sensitive). If you’re not sure, brew a single cup for testing and then adjust next time. Loosen Up: How to Enjoy Loose Leaf Tea. Lead photo by Annika Bielig-Bussmann. Andy Hayes is the founder and creator of Plum Deluxe. He authors our award-winning weekly email newsletter, The Blend and curates our popular organic tea of the month club.